Developer Cedar Woods is progressing sales in its Ellendale master planned community at Upper Kedron located just 12 kilometres from Brisbane’s CBD. It hasn’t always been plain sailing however with the newly appointed Queensland state government calling in the development in March 2015 following initial approval of the development application by the Brisbane City Council in December 2014. There were criticisms with the assessment of the development application by Brisbane City Council against their own planning scheme. Cedar Woods welcomed the State Government’s review and subsequent approval of the development in July 2015 with a commitment for an initial development stage of 480 lots with the planning scheme amendment process for the balance of the 227-hectare site underway with Brisbane City Council. The site is surrounded by the suburbs of The Gap, Ferny Grove and Upper Kedron and backs on to the South D'Aguilar National Park. 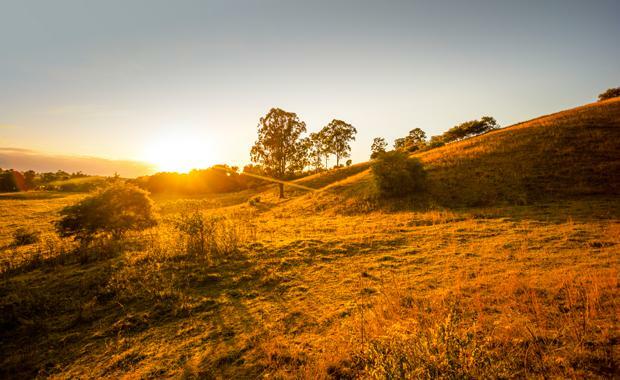 Nathan Blackburne, Cedar Woods Queensland state manager, said that a thorough community consultation process has gone hand-in-hand with the development process. “It was a highly sought after parcel and we're happy we secured it and we are confident that we will get a reasonable planning outcome on the site when the planning process is complete,” he said. Mr Blackburne said that Cedar Woods engages in ‘best practice’ community consultation for its projects and for the company that means a thorough and genuine community consultation program. Stalls were set up at local community halls and shopping centres on the weekends and newsletters issued to about 10,000 local residents informing them of the vision for the development and encouraging them to have their say. A hotline was staffed where residents could enquire about all aspects of the Ellendale community. Newspaper advertising, door knocking and an informative website all contributed to the flow of information for the community. Mr Blackburne said, “People who were contacting us through these means fell into a few categories. Some were wanting to find out more information, some had preconceived ideas about the development and were concerned, but probably the vast majority were seeking information about the development and were interested in new housing in the area, which was not the objective, but it turns out that a significant percentage of the people contacting us wanted to be put on the database. “We understand that for major projects like Ellendale it represents a change for the area in which many people currently live and we realise that people want to understand those changes and have their say in how the future of that landholding unfolds. The site has been previously farmed for a generation and had been extensively cleared but as part of the development process, the site will see a net benefit in relation to its environmental values. Mr Blackburne when asked to describe the overall process and learnings said, “It was genuine, thorough and successful in the sense that it gave the community every opportunity to find out more information about the project and dispel any myths around the environmental outcome and traffic situation. We had extensive studies done by our team of experts in relation to those areas and we shared that information with the community in attempts to allay any concerns and convey the very positive outcomes that flow from this development particularly from an environmental perspective. “We would have expected the number of submissions would have been considerably higher given the scale of the development if we had not undertaken the community consultation in the way we did. The response from this direct engagement with neighbouring communities has resulted in overwhelmingly positive support for the development with local residents welcoming potential further investment in local infrastructure, community-building initiatives and improved land values.